In case you missed it, I wrote a post earlier this year about What To Do in Moncton This Summer. It was a little bucket list I created of all the things I wanted to experience in Moncton. 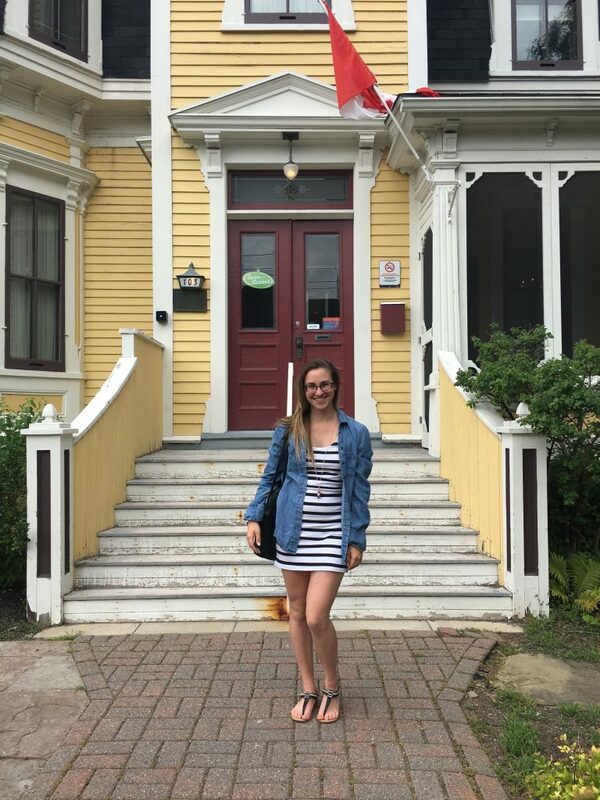 Although I’m not sure I’ll be able to accomplish all of them, I am very happy to announce that I was able to cross one adventure off my list: having tea at The Thomas William House! The Thomas William House is a historical building in Moncton. It is over 130 years old and still stands proudly in the centre of Moncton. 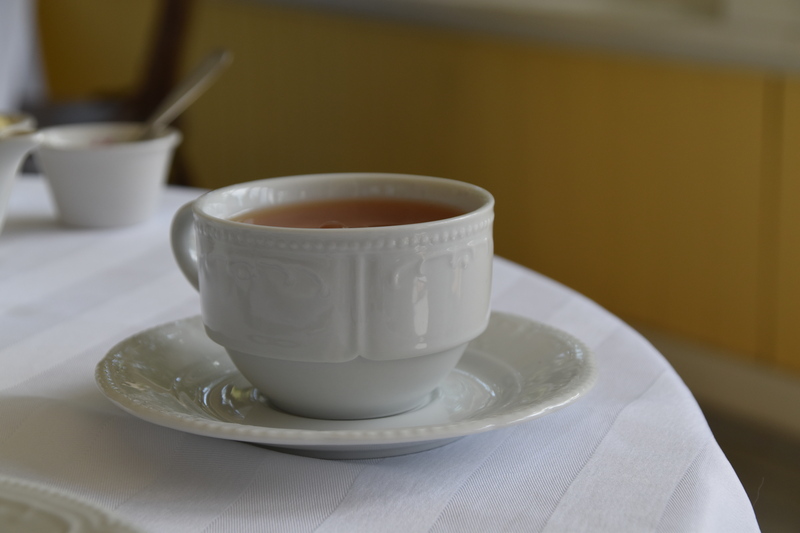 In the summer month, we are so fortunate that it is open to the public for tea and light snacks as well as guided visits. This Victorian home is not to be missed If you are in Moncton or the surrounding areas! I have been meaning to go have tea at The Thomas William House ever since I moved to Moncton in 2009. People were always raving about it, and it just seemed like such a fun thing to do with a group of friends. Unfortunately I never got around to it while I was in university, but this summer is all about seizing the day. I made a list, and I made commitments. I sent messages to friends to make plans. And I am so happy I finally did, because this experience was one of the best I’ve had all summer! The menu for Thomas William House is quite lovely. Very simple, with different options either to have alone or to share. My friend Catherine and I decided to share the Williams Tea, and it was absolutely perfect! As you can see in the photo above, we got a pot of tea – which they will gladly refill with hot or cold water! – and lots of snacks! I have to say that the tea biscuits was my favourite. But really everything was absolutely delicious! The service we received during our afternoon at The Thomas William House was excellent. 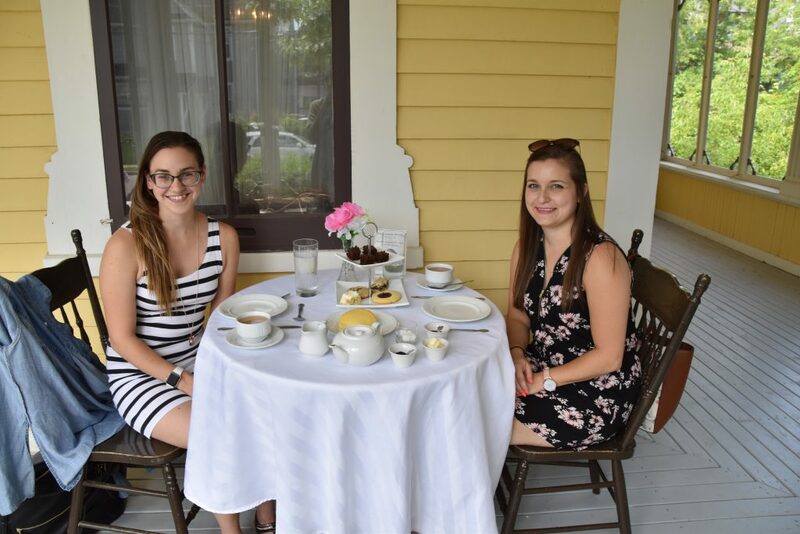 Our server was a young lady who had such a fitting personality for serving tea in a Victorian style house. Her warm smile and soft-toned voice complimented wonderfully the atmosphere they were trying to create on the veranda. I have never felt so at peace then during the two hours we spent there. We were very fortunate to have had beautiful weather too, so it just made for the perfect afternoon. I would highly recommend putting Thomas William House on your must-see list while visiting Moncton. Both locals and tourists can thoroughly enjoy this heritage landmark, all while enjoy a delicious cup of tea or some yummy treats made locally. What is your favourite spot to visit in Moncton? If you have any suggestion on what to do in Moncton, let me know in the comments below! This looks so lovely! There’s something so fun and fancy about tea time!